Signup for our newsletter to get notified about Waves For Change updates and what our team us up to. Welcome to our September 2018 Newsletter! It’s September and so much has happened! We’re stoked to bring you 6 months of awesome Surf Therapy news! We’ve broken the 1,000 barrier! W4C now connects over 1,000 children per week to Surf Therapy programmes in South Africa and Liberia! Our programmes are delivered by a growing community of Surf Mentors, now numbering 65! More than half of whom are female. We’ve been working with Western Cape Dept Education & Dept Health, Embassies of UK and France, and Autism Spectrum Units across the Western and Eastern Capes to integrate Surf Therapy into educational curricula for children with different learning abilities. Two mornings each week, across all our sites, we run Surfing and Autism programmes. Next year, we’re aiming for 4 mornings per week. It’s the highlight of everyone’s week. W4C programmes are run by community Surf Mentors. These are all previously unemployed young people trained, mentored and employed by W4C. Many W4C mentors couldn’t surf or swim before joining W4C. Here’s Apish, one of our first ever Surf Mentors from Masiphumelele. If you’re in the UK, you’ll be seeing Apish all over Finisterre’s stores modelling their new range of Cold Water surf gear. Click the pic for more! In 2017, W4C opened a new Surf Therapy programme in Harper Liberia. In July, five of our Liberian Team spent three weeks in Cape Town where they qualified as Liberia’s first ever Surf Coaches. Thank you to Chris Bond, Ticket to Ride Surf Adventures & Surfing South Africa for helping us make this little piece of history. We continue to grow the evidence-base for Surf Therapy. This year we are working with Laureus and The New School (NYC) to better understand the impact of Surf Therapy on our physiology and stress response. 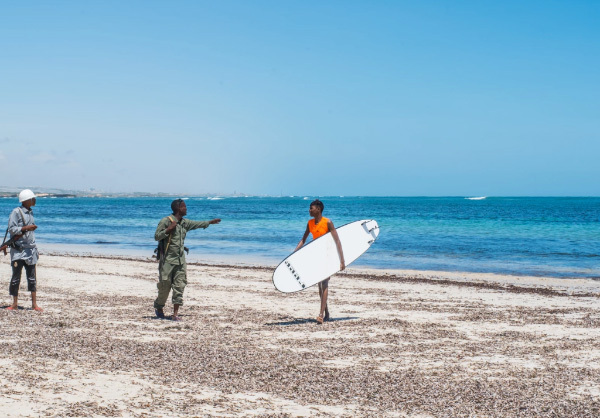 We’re also working with USAID and Making Cents to explore how to make Surf Therapy more inclusive of all genders. Finally, we are working with University of Cape Town to execute the first ever study on a Surf Therapy & Autism project on the African continent. 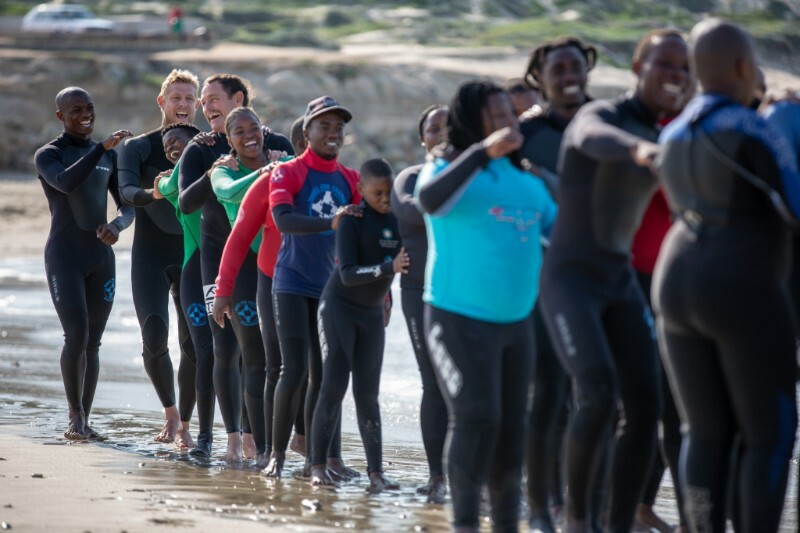 We’re stoked to announce the launch of a new Surf Therapy programme in Hout Bay, in partnership with SA Pro Surfer Frank Solomon and the Sentinel Ocean Alliance. Based from the Sentinel Ocean Alliance Centre on Hout Bay Beach, four W4C Surf Mentors have launched twice weekly Surf Therapy programmes. These will become 5 days weekly from 2019. We’re stoked to connect more and more communities to the power of Surf Therapy. ‘The Ocean accepts me as i am’ – Ride the wave of body positivity with W4C surf mentor Annelisa Mlholi on SA’s Beautiful News. A documentary about South Africa, Surfing, Social Change and 800 Surf-Boards. Huge thanks to W4C Ambassador and World Tour Surfer Michael February for making this possible. That’s all for now. Keep an eye out for our next newsletter. We’re about to launch something brand new. This entry was posted in Awards, Community Building, Latest News, Media, Surf Therapy and tagged News.